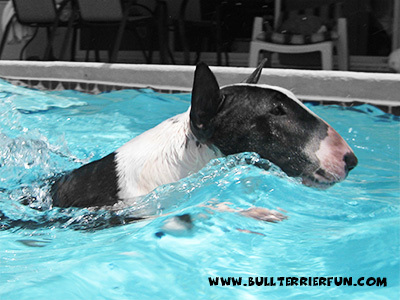 If you have been asking yourself: Do Bull Terriers need a lot of exercise? In a word: YES! They definitely do! 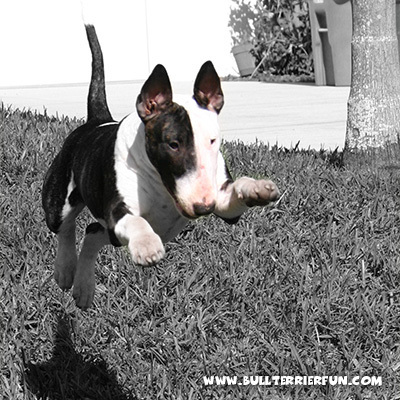 Bull Terriers are jokers, embracing life to the fullest. They are like raw diamonds. If you use the wrong polishing tactics you will only get a pile of carbon. If you use the right tactics and commit to LIVING WITH your Bully, instead of just owning A DOG, you will get the most precious and loving pet you can imagine as the reward for your efforts. 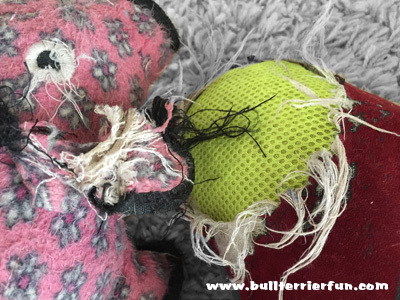 Here you find some information on how to work out a Bull Terrier and what else to consider when you acquire a Bull Terrier as your new family member. 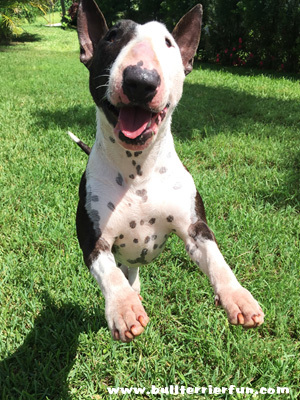 The Bull Terrier needs consistency, a lot of attention, education & guidance and he needs exercise as an outlet for his huge amount of energy. You will notice pretty soon that your new companion seeks a lot of interaction. 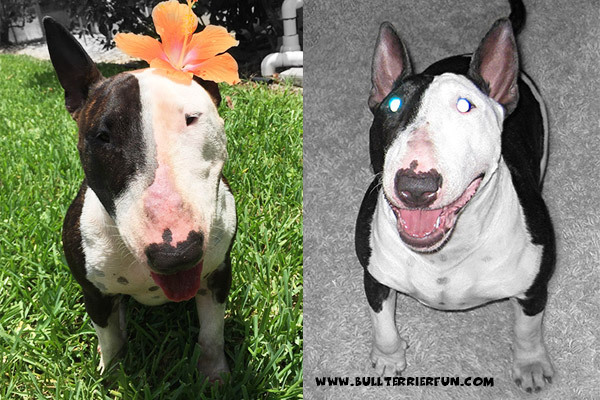 Bull Terriers are not just pets. They really are family members and they act like it.